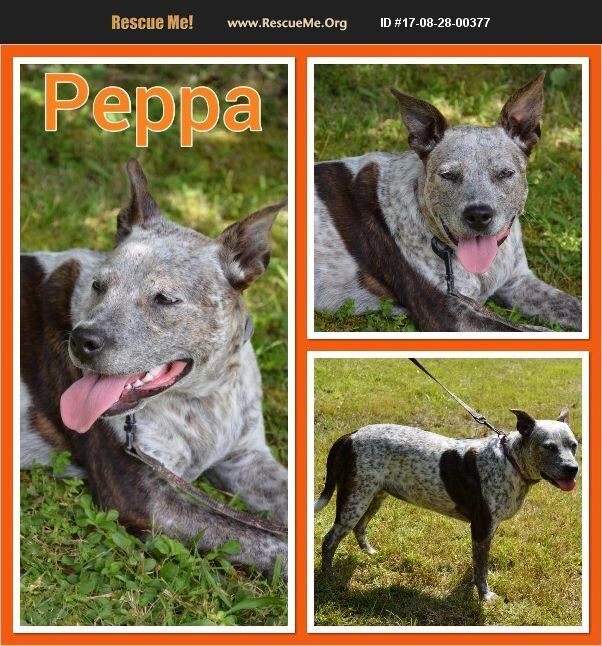 Virginia Australian Cattle Dog Rescue View other Australian Cattle Dogs for adoption. ****This dog is currently enrolled in a training program at a correctional facility we have partnered with to help make them more adoptable. They are taught basic obedience commands on leash and are crate trained. They are also housebroken. Projected graduation date is early April 2018****. Meet PEPPA, our fun-loving heeler mix. She is around a year old. Spayed and up to date on vaccines. Housebreaking in progress. Good with kids. She would be best in household with male dog or submissive female. She would most likely chase cats!